We've been carefully examining ways to improve our relationships with PR agencies. We'll continue this process. Should you have any ideas or feedback, please do not hesitate to get in touch. One of the main issues we've experienced is a non-standard practice for transferring images and assets. We'd like to get everyone sending over information to us quickly and efficiently, so to help you, we've created a simple WeTransfer channel. 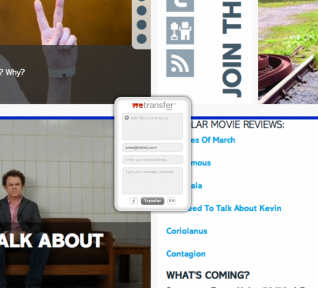 You can now send us images, releases and videos in 2gb chunks via our new WeTransfer channel. We've created this to ensure your client's data can be quickly rendered and reviewed. We'd prefer you to use this channel as opposed to emailing items over as we receive a huge number of emails. Email us with the opportunity (without attachments) or submit straight to our WeTransfer channel. We want to hear from you. Although we receive a huge number of enquiries, we are happy to field calls. Please bear in mind that we are very busy and if we haven't picked up a story, it's not because we haven't seen it. If you could give us at least four hours for a non-deadline item, that gives us time to review your submission. We'll run you through our interest.